Floor drains are probably one of the most important types of drains you have in your home as they are designed to help remove water and prevent water from collecting in various areas of your home. At times when your home gets flooded with water owing to a flood or rain, or probably just doing the laundry it is these drains that help the water drain out. However, things can become very difficult when these drains become, clogged or blocked. No one likes water collecting around their home, and this is why it is important that you hire floor drains services so that your home is always water free. Some of the most common places where floor drains are found are in bathrooms, laundry rooms, patios and the basement. In order to ensure that your floor drains do not give you trouble it is imperative that you get your drains checked at least every six months. You can check the drain by pouring lots of water down the drain. A drain which is functioning properly should be able to swiftly drain the water while one which is getting clogged will take some time. A drain which takes time to, drain out the water is often clogged or probably has a partial clog which is slowing things down. There are many companies which offer drain services but what separates us from all the others is our experience and quality of service. 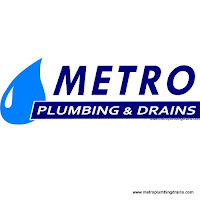 We use non-invasive techniques and methods to fix clogged floor drains, plus our plumbers will also treat your property with respect and clear up after they are done, and we do all of this without charging you extra! Our floor drain services are one of the best in the businesses and we can schedule a regular check or send our professional technician solve your problem. Our experts not only come in to fix your drain but also remove elements, which may be causing your drain to become blocked over time. We will also suggest steps you can take in order to ensure that your drains do not get blocked in the future.